The new Mercedes-Benz Etobicoke facility opens in late 2020. 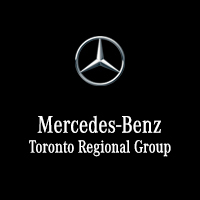 The Mercedes-Benz Etobicoke sales location at 1629 The Queensway has closed. On the same site, we are constructing a new 110,000 square foot dealership including both sales and service under one rooftop. The development will occupy the south-east corner of The Queensway and The East Mall. It is close to the intersection of Highway 427 and the Gardiner Expressway, near a range of existing automotive dealerships that include other luxury brands. Mercedes-Benz Etobicoke will be the main attraction among a growing selection of upscale brands in the area, the dealership will raise the neighbourhood’s profile and transform it into a true must-visit destination. MAR2020 Flagship building in the world; the first is currently under construction in Abu Dhabi (opening in 2019). The complex will include Mercedes-Benz, Mercedes-AMG and Mercedes-Benz Vans showrooms, as well as a state-of-the-art express service centre. MAR2020, a new Mercedes-Benz Retail Experience initiative, marks the start of a new chapter in the company’s global retail presence. The company’s aim is to be an integrated mobility services provider that delivers a consistently high-quality brand experience across all products, services and sales channels. Within these new MAR2020 designed dealerships, a mix of architecture and advanced digital capabilities will come together to provide Mercedes-Benz customers with bespoke experiences that respond to their individual needs, and meet them on their own terms. Mercedes-Benz Etobicoke will be offering a benchmark approach to customer-centric product and service delivery that will impact and inspire competition in automotive industry and beyond. This location will include shared offices, multi-use furniture and flexible spaces cater to individualized customer experiences and digital sensors and televisions in the dealership’s sales rooms that will pair with digital info to customize each space according to the nature of the interaction and the product being purchased. The new multi-level facility in Etobicoke is also set to be the first AMG Experience Centre in Canada, bringing the power and performance of Affalterbach to the GTA.